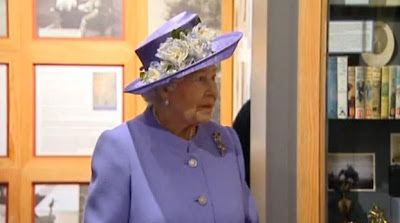 The Queen visited the Scottish Borders, including the John Buchan Museum and Abbotsford House, the former home of author Sir Walter Scott, which she formally reopened. Click above for reports and video from ITV News. Now, this would have been a grand outfit to pair with yesterday's Purple Thistle Brooch, no?